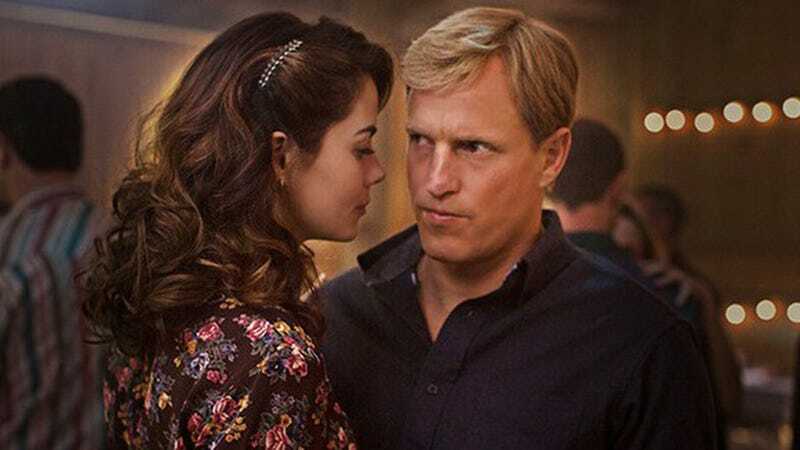 Blame this one on the Yellow King: True Detective creator Nic Pizzolatto has debunked the widely circulated and celebrated rumor that season two of the series will feature female detectives in the place once held by Woody Harrelson and Matthew McConaughey. "It's a rumor with no basis in fact," Pizzolatto told crowds at the Banff World Media Festival. "There is a strong (lead) female character. But I wouldn't say it is female-led or anything like that." In addition to the bad news that season two of True Detective will not be the gothic Cagney & Lacey that we've all been dreaming about, Pizzolatto also said that it's unlikely that he'll make more than three seasons of the HBO hit. "Every season, I'm essentially creating a brand new TV show," [Pizzolatto] said. "It can't have any growing pains like a regular first season. If it works it has to work right out of the box. That's incredibly exhausting. I mean, the job is exhausting to begin with, but it's doubly exhausting and I'm writing every episode. I can't imagine I would do this more than three years. I mean, I'd like to have a regular TV show. We'll have some fixed sets, regular actors and I could bring in people to help and I don' t have to be there every second. It'd be great." Time is a flat circle, Nic. You're doomed to create the same three seasons of television over and over and over again.